The Smartwatch Project was started by an entrepreneur from Canada at one of the Biggest project funding platform; the Kickstarter. The speciality of this Smartwatch is that it works alongside a Smartphone user. This has become a greatest hit that it has already earned about $2 million worth orders based on the online funding network. With the help of Kickstarter small innovative ideas and small scale entrepreneurs are sure to earn a big time dealing for their creative project or a technology imbibing product. The pioneer says that he had been working on the Smartwatches for over three years. He owns the company, the Pebble Technology and hence named the Smartwatches by them as Pebble Smartwatches. Pebble Technology tried to raise funds through a couple of organisations which got succeeded finally with the Kickstarter. The Sony Ericsson has launched its Android Operating System powered Smartwatches in the beginning of the year 2012. The Pebble Smartwatches are definitely going to compete with the Sony Smartwatches as said by the owner of Pebble Technology. 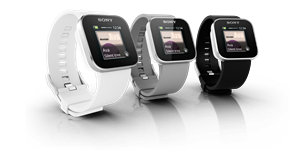 Below are the features of the Sony Smartwatches that Pebble Technology need to contend with. Wrist band : It has a 20 mm wide wristband which is built with similar looks of a normal watch. There are six colour shades of the Wristband being pink, mint, blue, white, grey and black that enables you to change the shades as per your style and need. Connectivity :There is Bluetooth 3.0 connectivity. Charging:The charging or the device is done through an USB cable which lasts charge up to one week with less use and one day with heavy use. Other features:You can read e-mails, sms, control your Android Phone music, receive or reject calls, check status updates and many more on the internet. The Sony Smartwatch is compatible with a wide range of Sony Ericsson Android Smartphones. The other Smartphone based watches in the list would include GD910 from one of the great mobile manufacturers, the LG and the Wimm one which was in news just a few months back by a California based laboratory that claims to be doing all the operations that an Android Smartphone does. Let us have a look at the features that it claims to offer. 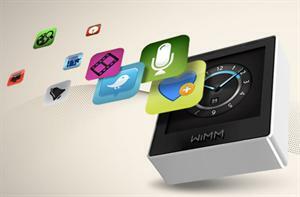 The Wimm One Smartwatches have a display of 1.4 inches size and Wi-Fi connectivity. This Smartwatch comes with a 667 MHz processor and an expandable memory up to 32GB. The Smartwatch is powered by the Android Operating System. This Wimm One Smartwatch has an inbuilt accelerometer and magnetometer for giving the directions during travel or navigation. The Smartphone is also coming up with many essential built in Apps like the Calendar, weather etc. This e Smartwatch is probably said to be launched within the last quarter of the year 2012. Another Overwhelming Smartwatch with whom the Pebble Technology has to compete with is the LG GD910. But this Smartwatch is presently discontinued due to some unavoidable reasons. 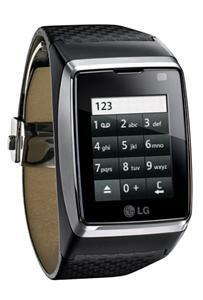 The LG GD910 model Smartwatch offers advanced features and specifications than the above described Smartwatches. This includes, 1.4 inch full touch screen with capacitive type of display, VGA front camera which implies that it allows voice and video calling facility. This wonderful creation by LG can rightly be called as the Watch Phone rather than as the Smartwatch. There is stylish and vibrant designed changeable wristbands like the Sony Smartwatches offer. Inspite of having all the features to be great, this LG GD910 Smartwatch has been discontinued in the market.